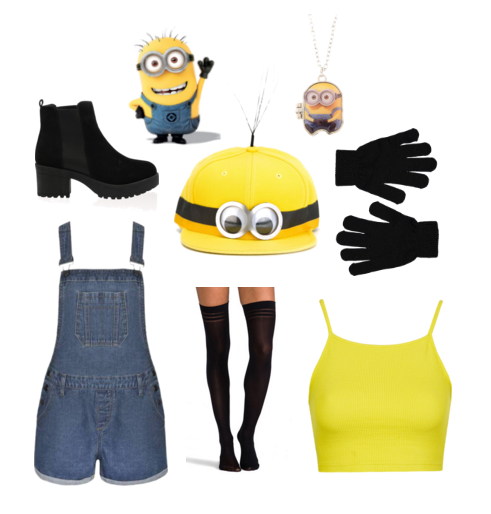 I made a DIY Minion hat for my halloween outfit this year, because I love art and I love making crafts from scratch. What could be better than to make a fabulous outfit for halloween using your own two hands? All you really need is a yellow beanie, a black permanent marker, staples and some cardboard, and you're all ready to go. Get some scissors, cut out some cardboard, draw on it using the coloured marker and staple it to the top of the yellow beanie. After, simply make the glasses by cutting round shapes in the cardboard and stick them together, layering them on top of each other. After, stick a black strip around the glasses, and staple the ends to your hat. This saved me so much money because buying outfits costs a lot. All you have to do is cut some strips of cardboard and staple them to the yellow beanie hat. That's an awesome Halloween costume. Cute one too.